The Associated Students of the University of Montana (ASUM) is the student government for the University of Montana-Missoula and Missoula College campuses. ASUM is recognized as the representative voice for UM students and is administered by an elected body. The President, Vice President, and Business Manager, as well as a 26 member Senate, are elected each spring for a one year term. This body meets on a weekly basis to discuss student issues and is governed by the ASUM Constitution, Bylaws, House Rules, Personnel and Fiscal Policies. 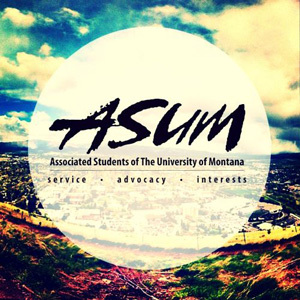 ASUM is the students' government, and through it, students can play an active role in what happens on campus. ASUM is an organized, effective student government that offers a variety of opportunities for enhancing ones' university education.